Hundreds of Niagara's high school students took part in the province-wide student protests. They walked out of class at 1:15 p.m. yesterday. They were protesting changes Ontario's education including increased class sizes, the cellphone ban and mandatory online learning. 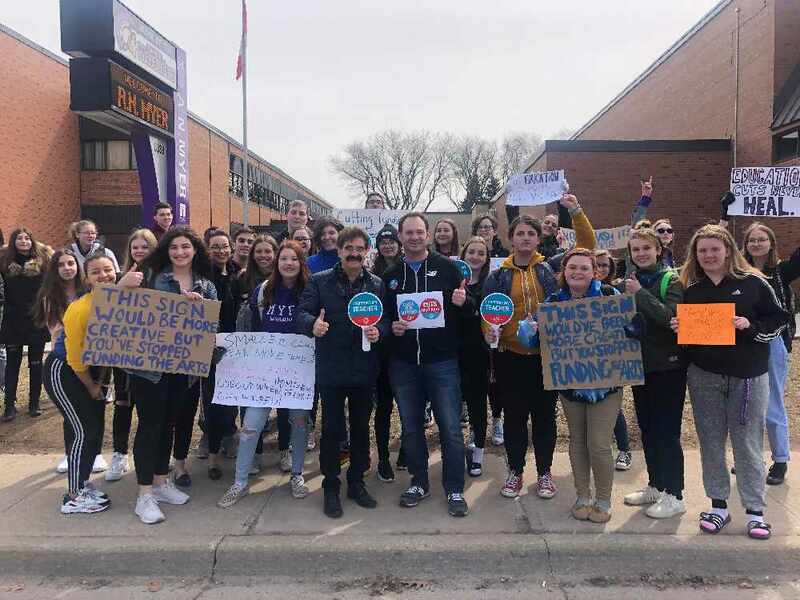 MPP Wayne Gates joined the protests in Niagara Falls to support the students from Saint Michael Catholic High School, Stamford Collegiate, A.N. Myer Secondary School and Westlane Secondary School.